Gervais Plumbing Heating & Air Conditioning offers the cheapest, most affordable air duct cleaning in Wayland, Massachusetts including but not limited to air duct vacuuming, sweeping and disinfecting with state-of-the-art air duct cleaning equipment in the hands of highly trained HVAC duct and vent cleaning specialists whom are CORI Checked and Drug Tested to ensure the safety of our customers. The Gervais Family specializes in ventilation shaft cleaning in Wayland MA for even the largest commercial office buildings, malls, factories, warehouses, retail outlets, government and municipal buildings such as police stations, fire stations, post offices, court houses, municipal buildings, city/town government buildings, large skyscrapers, strip malls, hospitals, medical and research facilities, lawyer offices, dental practices, manufacturing facilities and other large business office buildings. For over a decade, the Gervais team has been one of most trusted air duct cleaning specialists in Wayland, Massachusetts offering the lowest possible rates for air duct cleaning as well as air purification and filtration system installation. Call the Gervais Family today for the finest indoor air quality improvement in Wayland, Massachusetts and surrounding communities. Our air filtration system installation services in Wayland MA are effective for a whole house for mold, viruses, bacteria and other micro-organisms, cigarette smoke, viruses (using UV germicidal light or titanium dioxide in the HEPA Air Filter) for people with pet allergies, asthma and other diseases. Gervais provides energy efficient air purifier installation in Wayland MA with name brands including Aerus Air Purifiers, Airfree, Airpura, Alen, AllerAir, Amaircare, Austin Air, Black & Decker, Blueair, Boneco, Conway, Electrolux, Foobot, Germ Guardian, Honeywell, IQAir, PowerPure, Rowenta, Vornado, Winix and several other brands. Gervais Plumbing & Heating is a family owned HVAC Company offering the most meticulous air duct cleaning services in Wayland, Massachusetts also providing expert HVAC Air Duct Installation, Repair & Replacement Services. The Gervais Family educates customers in regards to the importance of indoor air quality improvement for all homes and businesses in Wayland MA. The EPA ranks indoor air pollutants as one of the top 5 health risks in America. 97% of homes have indoor air quality issues and The American College of Allergists have found that 50% of illness is directly related to indoor air pollutants. Clean Air Ducts are just as important as eating protein, fruits and vegetables. Gervais Plumbing Heating & Air Conditioning is one of the most reputable HVAC professionals with well reviewed air duct cleaning and air filtration system installation services by seasoned professionals in the indoor air quality improvement sector. 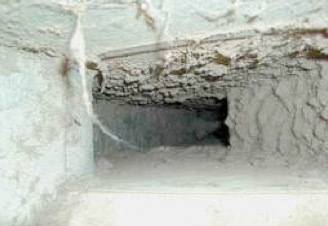 The Gervais Team offers the cheapest, most affordable and high quality air duct cleaning in Wayland, Massachusetts to help customers significantly improve their overall health by simply breathing clean air, free from mold and spores, dust mite feces and other harmful toxins and allergens. The Gervais Family encourages you to make a commitment to healthy living via with routine air duct cleaning and air purification system installation today!